We want to extend our deepest congratulations to Larry McGee on his retirement from Facilities as our Director of Administration and Finance. 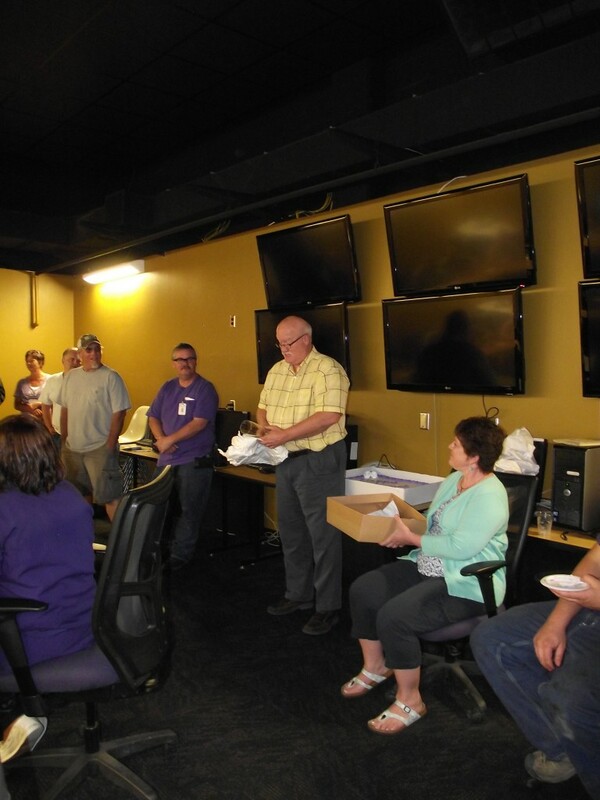 A reception was held in Larry’s honor on Friday, May 27th and several friends and co-workers stopped by to offer their support and appreciation. 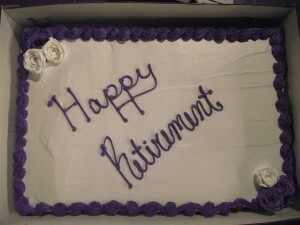 Larry retired as the first civilian director of the Directorate of Public Works at Fort Riley in June 2011 after a 30+ year career with the government. He accepted the position within K-States Facilities in Spring 2012. He was known for being extremely knowledgeable, a gifted people-person, and just a tad ornery. We will miss Larry immensely but wish him and his wife, Beverly, all the best as they enter this next chapter in their lives! Larry and his wife, Beverly, open his retirement gift.